I just received the e-mail below. The Q and A will be available for free for at least 24 hours. So catch it tomorrow if it’s to late on Thursday now for you. IBS which most with sensory issues and ASD individuals have (Whether they know it or not.) Is auto immune somewhat in nature. So, if you have a Sensory Processing Disorder or ASD. Some of Betrayal’s info. defiantly pertains to you. And the gold package at 50 % off seems like a great deal if you can afford it (In my opinion- And I rarely would recommend the highest priced package for the online conferences I share here). We are live right now don’t miss out. 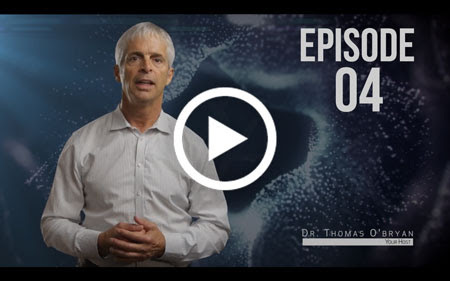 Click here to watch the PART 2 Live Q & A with Dr Tom now. The new questions sent in during the first Q&A brought out so many issues, Firstname – and many more solutions that I want you to have in your life. …in fact, different categories of questions were answered. I believe this Q&A is vital for you and your family – even if you came to the first one last week. This is where the 1,000 hours that went into Betrayal becomes personal to you. 1,000 hours from us to create Betrayal … 1 hour from you to DRINK in the knowledge and solutions at the Q&A. PS: The Betrayal Series Q & A is where I share the solutions. Do NOT miss this. This episode shares some of the most popular Auto immune conditions that can be managed via a healthy lifestyle. Choosing which portions of the 80+ interviews would most support you, with 60 to 70 million people affected by a variety of digestive diseases, well, it was monumental. • The connection between autoimmune disease, gluten sensitivity & digestive diseases (like colitis, Crohn’s Disease, celiac disease and even type II diabetes. • How to treat the digestive diseases. • Ways to test and see if your digestive system is healthy or not. • Success studies of patients getting healed from digestive diseases. • Why acid is essential for good digestion. • What to eat to have a healthy gut. Gluten is a prime suspect in many digestive illnesses. But how gluten interacts with so many other factors is also important to understand! CLICK HERE TO WATCH EPISODE 4. In a study of 39,000 people with this sensitivity, for those who were eating wheat, there was a 700% increased likelihood of early death (compared to people with Crohn’s or Colitis who did not have a wheat sensitivity). That’s not a typo. 700%! I believe the entire world needs to know the mechanism that happens to ALL of us, that Leaky Gut Syndrome is the Gatewayinto the development of most degenerative diseases. Go to this page right now and watch today’s show (Episode 4) while you still can today. If you or someone you love suffers from ANY kind of digestive disease, the information in this episode is vital and urgent. Please make the time to watch it before it comes down. 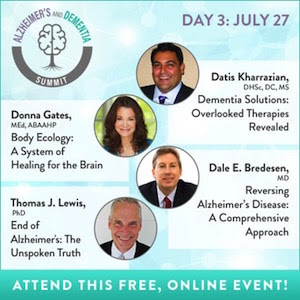 He shares many of the metabolic and functional testing that he recommends and covers how his study participants with a 90% risk of Alzheimer’s have been able to reverse the memory/dementia decline in 3- 6 months. If you have questions or feedback please feel free to post them here. I haven’t seen any of them yet. – you might not learn much new information. However, episode 1 was good and deserves your time. If you sign up now you might get bonuses you may not be able to get after tonight without purchasing the Summit.